Constr uction is a complex, often bewildering field and your would-be clients are out there right now looking for answers to their questions. Running a Q&A podcast helps you attract those potential clients and position yourself as an expert they can trust to bring their projects to life. When you start out, answer questions you’ve received through email, blog comments, social media or in person. Researching trending topics can give you more ideas. In your answers, aim to provide genuinely useful information, but also let your audience know exactly how your services can help solve their problems. For social proof, occasionally invite a client onto your show and ask them about their experience working with your company. Have fun and let your personality shine. Giving your listeners a chance to hear your voice and get to know you as a person is a big part of what makes a podcast effective. Include calls to action (CTAs) at the beginning of each episode, a little before the half-way point, and at the end. Instead of trying to get your listeners to call and schedule a meeting, offer additional valuable content relevant to their interests. To make it easy for listeners to give you their contact details and get the lead magnet content you’re offering, use a service that lets them sign up by SMS. 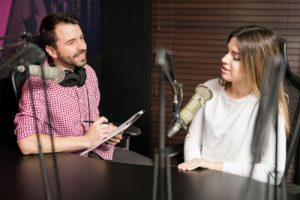 These services provide a short phone number where your listeners can send a one-word text, such as “build.” The word triggers a text message from you with a link to a webpage where they can sign up by email and get their free content. There’s a temptation amongst construction businesses to focus on creating content that’s newsworthy. While this will certainly interest leads and can help to boost your SEO rankings (especially if it gains some traction on social media), such content doesn’t stay relevant for very long. It has a limited lifespan. It’s why you should also focus on creating evergreen content. Evergreen content is content that won’t lose relevancy as it ages. For example, an article about construction trends to watch in 2018 is going to be outdated by the time 2019 rolls around. However, an article providing construction safety tips will always be relevant. Some of the types of content considered “evergreen” include FAQs, how-to guides, tutorials, product demonstrations, industry resources, testimonials, history-of articles, and terms and phrases glossaries. Leads who are searching for basic information relating to your business will be more likely to stumble on your articles. These leads are looking for specific information and aren’t concerned with recent construction-related news. They’re looking to be informed. By having a backlog of evergreen content, you give leads looking for information to inform themselves fully without ever having to leave your website. They’ll be able to go through one article to the next. By giving them this opportunity, you establish yourself as an authority within your field, thereby building more trust. 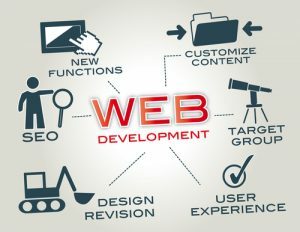 You’ll improve your SEO rankings, which will provide more exposure to your website and bring in more traffic. Evergreen content helps SEO because it tends to answer questions that people have, meaning that Google and other search engines will identify your evergreen content as being relevant to many of their user queries. 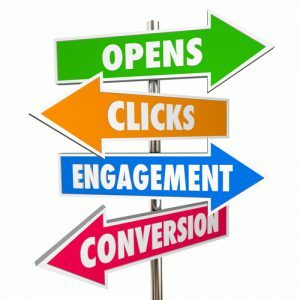 Unlike news-based content, evergreen content will help your construction business generate leads for years to come by providing valuable information, establishing your brand as an authority, and boosting your SEO rankings. How often you publish to your construction blog can make a real difference in how many clients your efforts bring you. More blogging isn’t always better, though. Your ideal blogging frequency should meet both your target audiences’ needs and your own. How often you should post depends heavily on the type of clients you’re trying to attract. 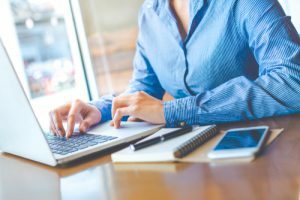 If you’re targeting property developers, investors, and other business people, chances are your readers don’t have a lot of time to browse blogs. What’s more, because they know their field well, they’ll be looking for in-depth articles that provide valuable insight, guidance, and information they can’t easily find elsewhere. For readers like this, you’ll get better results publishing fewer, but more comprehensive posts. One post a week is reasonable. On the other hand, if you focus on retired homeowners interested in aging-in-place renovations, your readers have more time to stop by your blog. As non-experts, they’ll also appreciate having the basics explained in bite-sized chunks. These factors make it more practical to publish short posts two or three times a week. Consistency is critical for building a loyal audience and maintaining your search engine rankings, so choose a posting frequency you know you can manage. Consider how many hours a week you can realistically commit to writing blog posts and how long it takes you to finish one. If you know you have a news-hungry audience that would eat up daily posts, but you have little time to write, then stick with two or three short posts weekly so you can stay consistent. 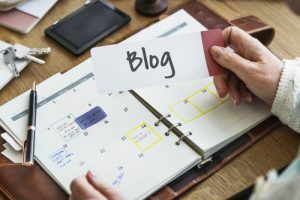 If your readers are more interested in practical, decision-making guidance, though, it makes more sense to put your limited blogging time into one in-depth post a week. Losing touch with your construction company’s email list is all too easy to do, but it doesn’t have to mean losing the potential clients among your readers. By making the effort to re-engage with them, you can still win their business. To avoid falling foul of the spam filters, though, you’ll need to plan ahead. Before you send out that first email, have a strategy for producing valuable email content consistently. Consistency earns you the trust and loyalty you need for your readers to consider working with you. It’s better to send one or two mailings a month on a regular schedule than email whenever you happen to have time. To stay on schedule, plan your email list content one to three months ahead. If possible, segment your list by interest. For example, if your email list platform lets you see which readers signed up after downloading your home remodeling guide and which came via your whitepaper on soundproofing in commercial office spaces, break those subscribers up into separate lists. This helps you provide each type of prospect with relevant content and makes planning your emails easier. Shooting off an ordinary email to readers who might have forgotten about you is a good way to get your emails marked as spam. When that happens, the deliverability of your whole list suffers. Low open rates also increase the risk of your emails landing in the spam folder. If you have data on your past engagement rates, delete subscribers who’ve never opened any of your emails so you’ll only contact interested readers. In your email’s “From” field, clearly state your business name and your specialty. In the first email you send, re-introduce your company and remind your subscribers how they’ll benefit from staying subscribed. Consider creating a valuable free offer, such as a tips sheet or strategy session, and mentioning it in the subject line to give your readers a little extra motivation to open the email. How Far in Advance Should You Plan an Editorial Calendar? An editorial calendar can help you create more client-converting content with less effort, but it’s only helpful if you plan far enough in advance. Get your schedule right and you’ll have time to create truly valuable content about even the most complex construction issues. The farther ahead you plan your online content, the more time you’ll have to find topics that truly interest your target audience, gather information, and organize your thoughts in a way that will hold your readers’ interest while leading them towards contacting you. All this means content that attracts and converts prospects more effectively. That said, exactly how much advance planning makes sense for you depends in part on your blogging schedule. If you publish every day, you might only be able to plan one to three months ahead. If you publish just once or twice a week, though, planning three months to a full year ahead is more reasonable. If you try to plan every month down to the last detail, it’s easy to get too overwhelmed to think about anything that’s more than a month ahead. By filling in your calendar gradually, you’ll be able to plan farther ahead with less stress. Start your editorial calendar by filling in the big upcoming events. If you want to write a post about the open house you’re going to next month and the trade show you’ll be attending in three months, put those on your editorial calendar. If you’re planning any in-depth pillar posts, put those on the calendar next. Then, starting from the upcoming week, pencil in ideas for the topics you regularly write on, such as your restaurant construction Mondays or sustainable building Wednesdays. With this method, you’ll always have the next month or two planned in detail, but still enjoy a bird’s eye view of what you need to be thinking about for the future. Posted on June 12, 2018 Author David MineerCategories NewsLeave a comment on How Far in Advance Should You Plan an Editorial Calendar? When your would-be construction clients sign up for your email list, they’re hoping for valuable information that’s relevant to their goals and interests. Segmenting your list helps you meet your prospects’ expectations by delivering exactly what each type of prospect wants, whether that’s advice on choosing features for a new hotel or tips on remodeling the kitchen. Try to manage all your prospects on the same email list and you risk publishing content that’s so generic it appeals to no one in particular or content that interests only a small percentage of your readers at any given time. Segmenting your email list lets you focus on each type of prospects’ interests so you can hold their attention long enough to get your marketing message across. List segmentation also lets you adjust your content based on where your prospect is in the buying cycle. You can provide educational material to prospects who are considering building a hotel some day, while sending more sales-oriented material those already narrowing down their choices of hotel construction firms. You’ll be able to guide your prospects from one stage of the buying cycle to the next with less risk of them dropping out because you promoted your services too hard or not hard enough. Not only does relevant content encourage your readers to open the first few emails they get from you, but it also increases the chance they’ll keep reading. This gives you time to demonstrate your knowledge and expertise in a way that really speaks to your prospect. The better you show your prospects you understand their needs and can meet them, they more likely they’ll be to entrust their project to you. A good reputation with a reader can even help boost the deliverability rate of your emails. 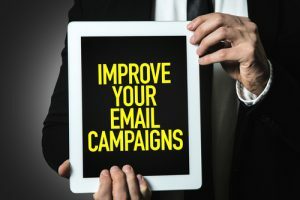 You’ll avoid the situation in which your reader’s email server notices your emails are often ignored and starts automatically relegating them to the spam folder. 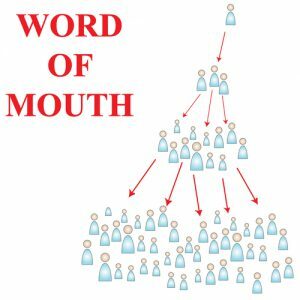 Word of mouth has long been one of the most powerful forms of advertising a construction company can use, but it doesn’t happen all by itself. To really get your clients actively spreading the word about your business, you’ll need to guide them toward taking action. The less effort your clients need to put into sending leads your way, the more likely they are to do it. Start by giving your clients extra material they can hand out to anyone who might be interested. Make sure it’s material that offers real value so your clients will feel good about passing it on to their friends and business associates. It could be something as simple as a pamphlet with 10 tips for controlling costs on a commercial office building project. Beyond this, provide a simple method for sending in referrals. Offer a form on your website or mail out a form with a self-addressed stamped envelope. The simplest option for motivating your clients to send you leads is a fixed-amount cash reward or a percentage of the profit from your new client. Alternatively, send a gift that’s personalized to your clients’ interests, such as a wine club membership or a photography class voucher. A reward like this can help strengthen your relationships by showing you care about your clients as individuals. To reduce the risk your client will forget, offer a time-limited bonus available only for leads sent within two or three weeks of their projects’ completion. The way you cap off a project is the way your client will remember you. Leave them with a positive impression and they’ll be more likely to recommend your company, even if the project hit some minor bumps along the way. When a project ends, surprise your client with a token of appreciation, such as a gift card to buy something for their new building or a set of framed photos of the building.